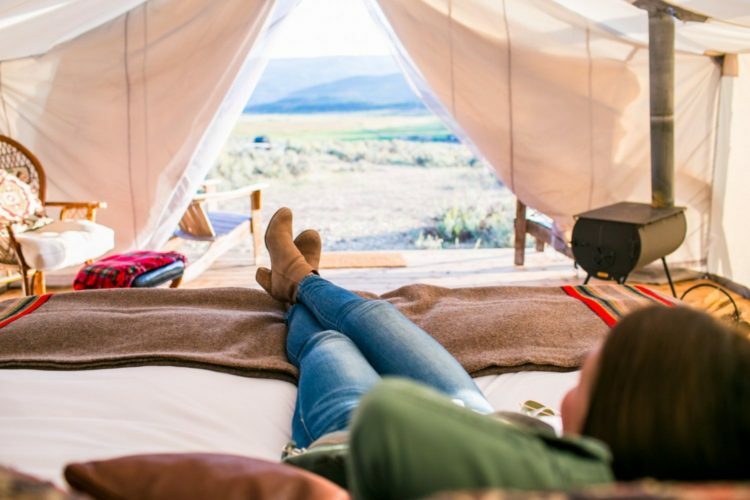 Step into the space that lies between camping and a five-star resort with Collective Retreats, who offers travelers the chance to “glamp” in some of the nation’s most beautiful locales. Think Yellowstone, Sonoma and Vail. The company has turned the hotel business on its head and dropped down little retreats throughout the country in places where traditional hotels are unable or unwilling to go. The result? 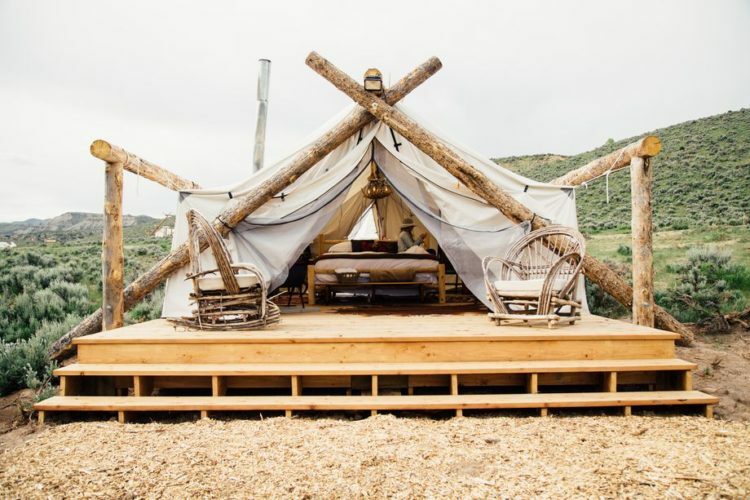 Seasonal and portable retreats made up of a cluster of luxury tents. How can luxury and tents be used in the same word? Accommodations vary at each location but expect actual canvas tents with amenities like a king-sized bed with high-thread-count linens, an antler chandelier, hardwood floors, private en-suite bathrooms, plush towels and private decks with Adirondack chairs. And yes, the bathrooms are just as nice. Dry off in a Turkish towel after rinsing off under a rainfall shower head and dousing yourself in L’Occitane bath products. The company is also preparing to debut its designer guest room containers. The full-service suites will be located inside repurposed shipping containers with a 180-degree glass encased bedroom, a private bathroom and kitchen amenities. Each retreat has an on-site restaurant with local ingredients sourced daily and whipped up by a chef. Enjoy a star-lit dinner each night. By day, explore the surrounding areas with the help of Collective Retreat’s on-site team, from horseback riding to hiking and more. 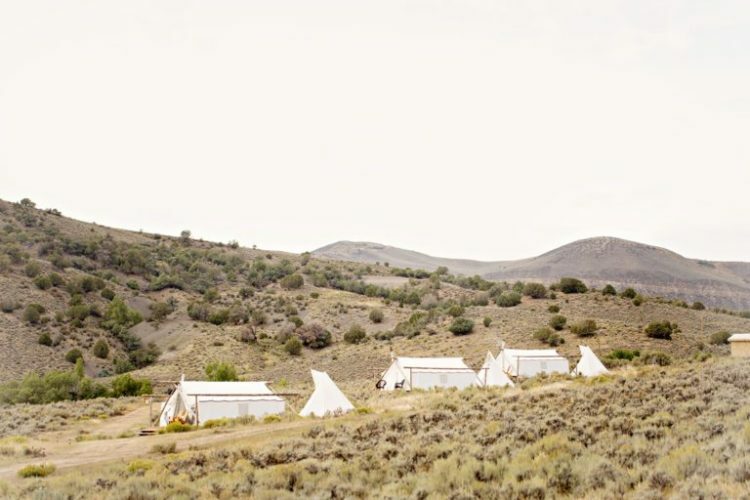 Collective Retreats was created by Peter Mack (who’s formerly worked for brands like Westin, W Hotels and St. Regis) after realizing the lack of diversity in hotel rooms across the world, despite the drastic differences of each city they’re located in. Collective Retreats currently has locations in Vail, Colorado; Big Sky, Montana; Hill Country, Texas; Hudson Valley, New York; and Governors Island, New York. Its Sonoma, California location is expected to open early 2019.